Most business travelers are using corporate credit cards for business transactions today. 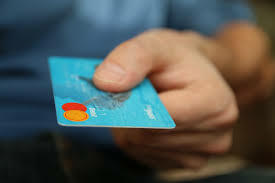 By using credit cards, business travel expenses can be quickly and easily managed. Apart from this, credit cards ensure secure transactions and give credibility to business transactions. Also, the usage of credit cards will ensure T&E policy compliance and takes expense management to the next level. Feeds can be customized, which means that you can configure daily or monthly feeds based on your requirement. Also, as you will be getting automatic feeds, you need not bother about inputting the transactions into the expense reports. Feeds deliver accurate and complete data. All the transactions come ready to be matched to an expense item and receipt. This will result in effective receipt management. When transactions are fed into the system, all the data will be moved into the general ledger, making it easy for your team to categorize expenses and make better decisions. You can gain access to the actionable insights derived from actual spending trends of employees without relying on employees to classify and analyze data. Credit card feeds can save time and result in less errors. You need not manually match transactions to reports and the amount of data entry is reduced. As every transaction made will be recorded, you can eliminate the possibility of entering duplicate expenses into the reports. As your employee size increases, the number of credit card transactions will keep increasing. Automating credit card related tasks will become more critical to make the most of your expense management system.